Our fingerprint SDK, provides several key features which makes working with fingerprints easy. 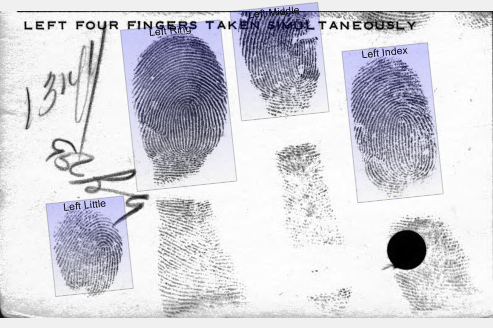 Fingerprint segmentation, Quality Assessment, Encoding and Matching. 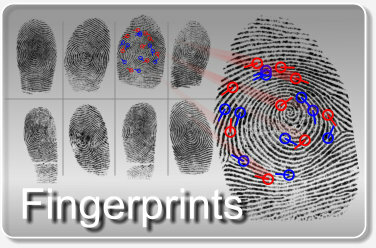 From any image our algorithm can automatically detect and segment fingerprints. You can also apply an optional overlay to show the placement of the segments. Images can been checked for the presence of a fingerprint as well as grading the fingerprint using the standard NFIQ Fingerprint Image Quality. A typical fingerprint card results in approximately 10 megabytes of scanned bitmap data, thanks to our WSQ implementation this can be massively reduced to less than 1megabyte in size. Our fingerprint encoder produces standards based templates using the latest ANSI INCITS 378-2009 specification. Many pieces of information are used during matching including minutia location, ridge flow, ridge counts, classifications, core and deltas. Our SDK provide easy 1-1 or 1-many matching functions.